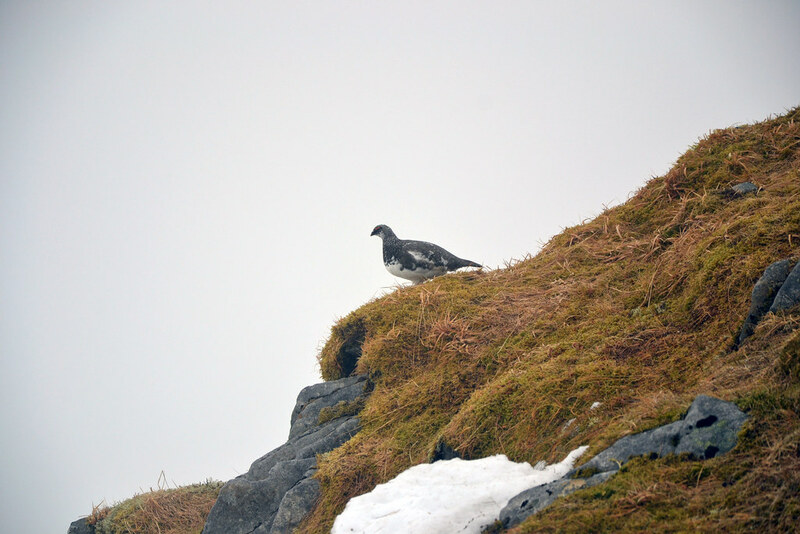 Peter and I had done The Saddle and it's neighbour the previous day and wild camped not far from the Cluanie Inn. 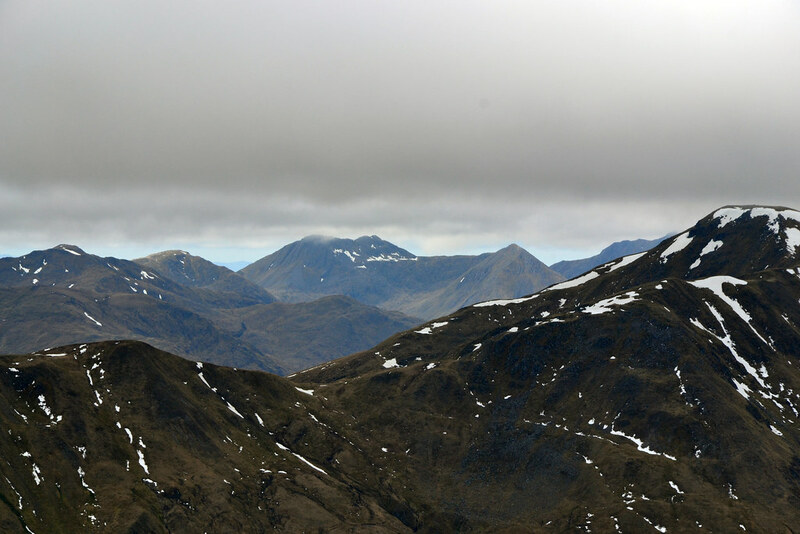 We woke up to low cloud over our intended target - the South Glen Shiel Ridge. We also woke later than expected and by the time we'd BBQ'd our sausages and packed up it was 8am. Being a bit sore we changed our plans and headed for A'Chralaig and Mullach Froach-choire. The steep climb begins right from the wee car park we found just off the bank on the loch. It is swampy in places and energy sapping. 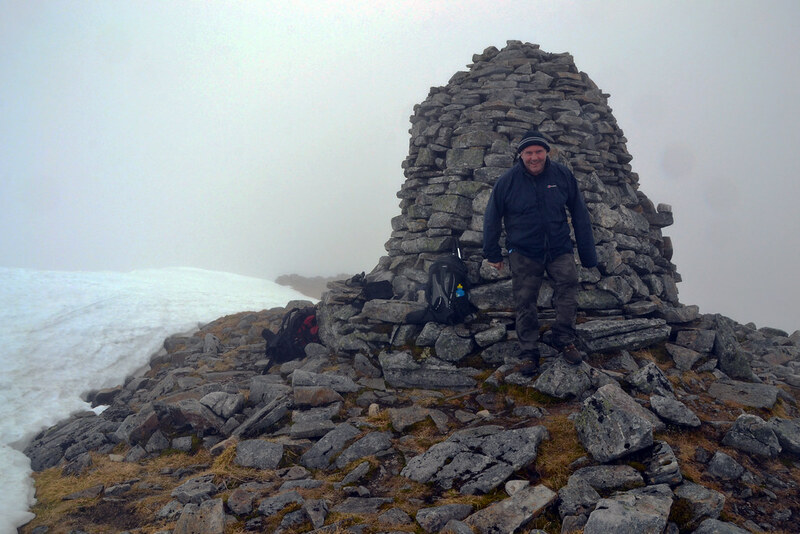 When the ridge was reached we had a better walk into the mist and up to the MASSIVE cairn - complete with seating! Peter and I like photography and views, of which there were none, so we decided to head back. 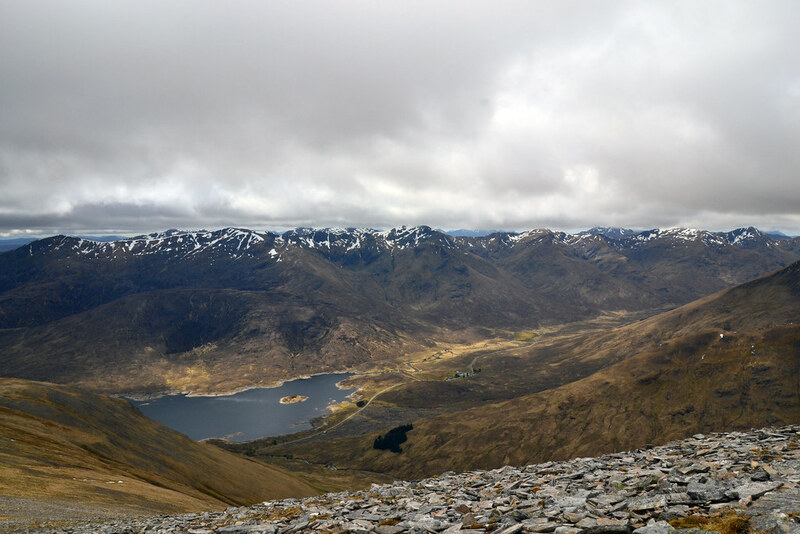 Not a great decision as the could did lift and we got great views over to the South Glen Shiel Ridge and the sisters/brothers of Kintail. 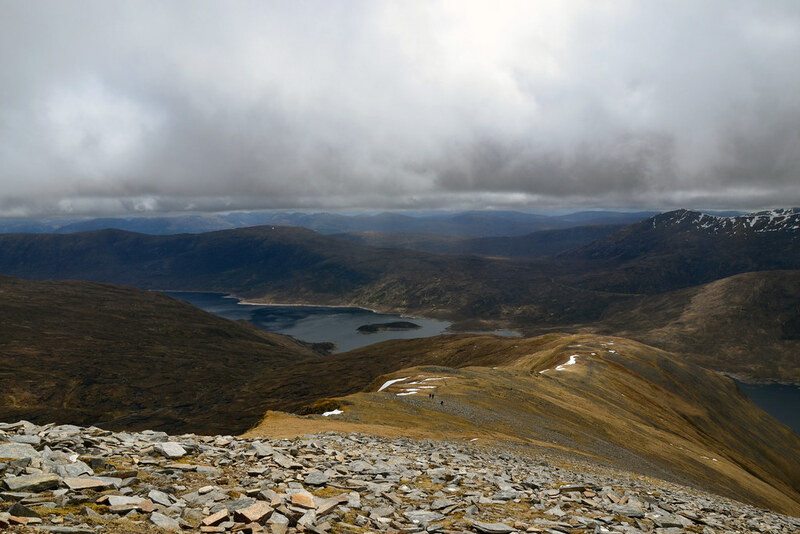 The views, like the previous day, went all the way to Ben Nevis. We retraced our steps and descended the steep bit, trying to avoid bog on the way down. Steep descent means that you are soon back at the car. We got changed and headed off to the comfort of the Fort William Travelodge and the newly opened Wetherspoons!